Click on the picture to see at a larger scale. 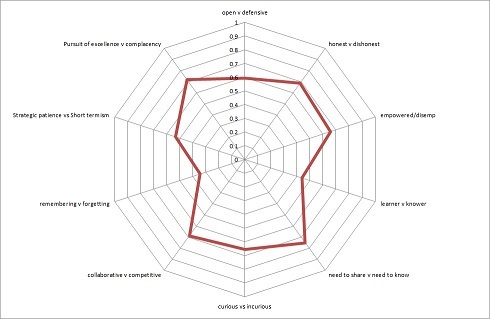 KA robust analysis to enable you to identify your organisation’s existing learning culture, and to act as a baseline to measure change. We will identify, measure and benchmark existing organisational learning capabilities in order to help you select and prioritise subsequent initiatives. We will make use of an anonymous online survey to gather confidential and unbiased views from your staff. They will answer a series of questions which are converted into a measure of the ten crucial elements of an organisational learning culture.